To clarify the practical requirements of the Building Regs and help you meet their requirements first go, all the information contained in the building regulations 2010 and approved documents is presented here in an easy-to-understand format, clear, concise and fully illustrated. Guidance is given for domestic buildings of up to three storeys in England and Wales, including extensions, loft conversions, new dwellings, conversions (garages, basements and barns), and upgrading of existing buildings - including the use of natural lime mortars, plasters renders and paints. There are clear explanations of how the technical design and construction requirements of the Building Regs can be met with sufficient information to draw up an effective specification and design to be developed. 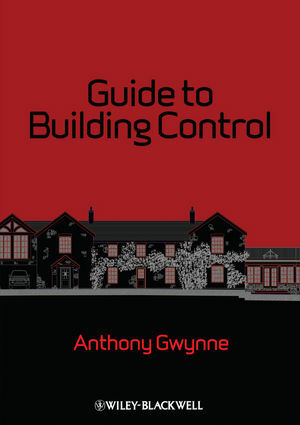 The Guide contains up-to-date examples of everyday practices and procedures gained by the author - a practicing building control surveyor - from years of responding to requests from property professionals, builders, property owners and students for clarification of the practical requirements of the building regulations. Accompanied by detailed diagrams, tables and text offering an enlightened understanding of the complexities of building regulations the Guide is both an authoritative reference for use at planning stage and a practical handbook on site. Students and professionals will find it an essential, easy-to-use resource for building control surveyors, building designers, building contractors, self-build, and others working in the construction industry.